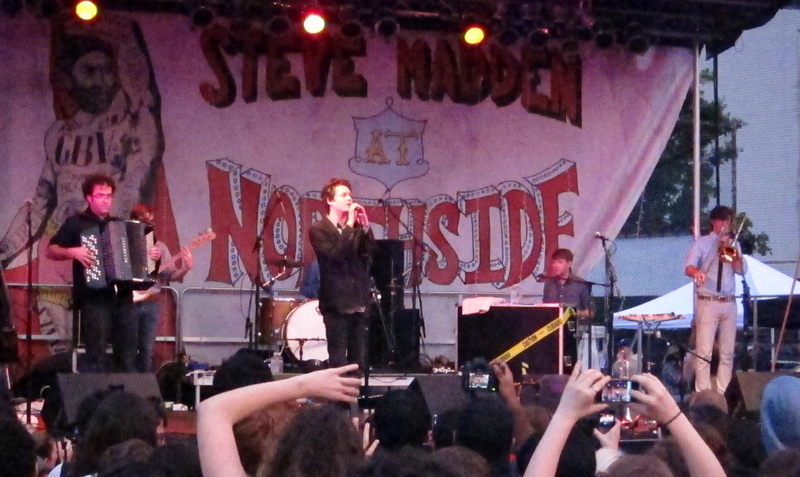 Northside Festival | Will You Miss Me When I'm Gone? 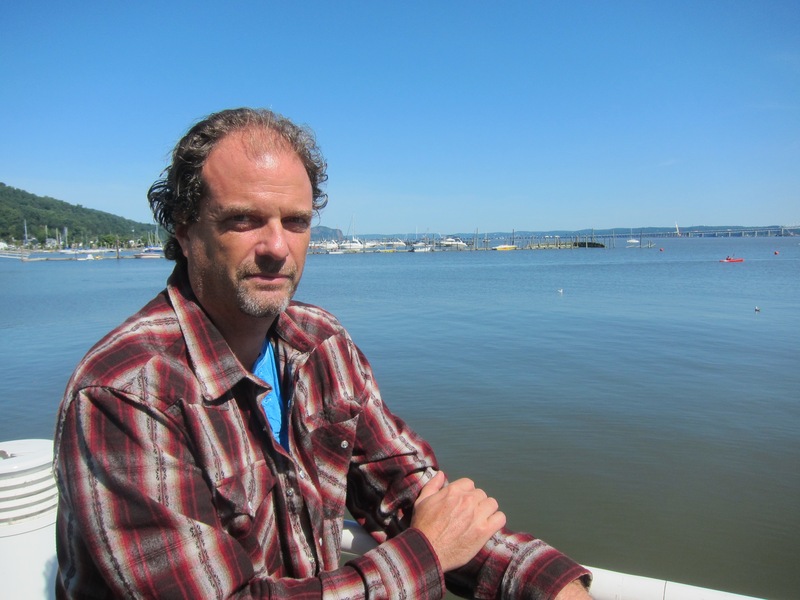 When I met Jamie Block for the first time, back in 2013, the onetime anti-folk singer-songwriter he was on the comeback trail. The longtime Rockland County resident had gotten through a difficult time in his life. By his own account, he had hit bottom and found his way up again before releasing the impressive “Whitecaps on the Hudson,” his first album in seven years. His effort to promote that album led to a relationship with Brooklyn filmmaker Onur Turkel, which at first apparently was intended to produce some music videos. But things blossomed and what resulted is a full-length comedy, “Abby Singer/Songwriter,” starring Block, daughters Johanna and Sophie, and the filmmaker. And you’ll be able to see it here in the New York City area for the first time next week. A comedy with real heart, Abby Singer, Songwriter tells the tale of a filmmaker and a musician who meet and start working together in a union that at times seems the most ill-fated creative partnership in history. Luckily for us, it’s also one of the funniest, as terrible music video ideas come to life, recurring jokes land perfectly and don’t hold back on political correctness and the film builds layer upon layer of character driven conundrums to form its perfect NYC-set universe. Featuring real-life musician Jamie Block and real-life director Onur Tukel playing fictionalized versions of themselves, the film is a throwback to great independent films as a unique story and structure pay off in spades. As Jamie tries to survive Onur and make a real connection with his daughters he must also face the prospect that the two things are becoming increasingly, hilariously intertwined. 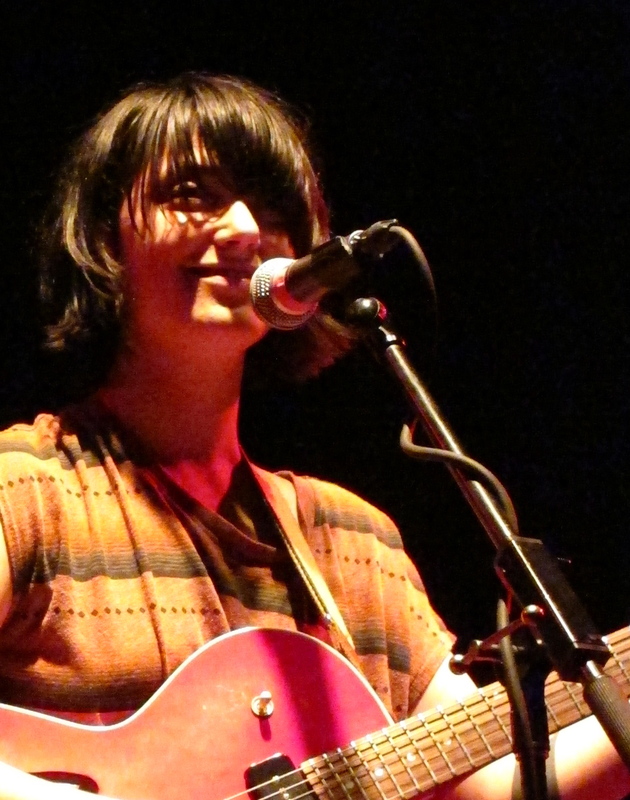 Powerful singer Sharon van Etten, whose great strength is in the directness of her lyrics and singing, has signed a new recording deal with Jagjaguwar Records, her publicist has announced. Congratulations are in order. It’s a great career move for one of the best, most honest singers active today. The move puts Sharon in the company of top indie acts such as Bon Iver, Okkervil River, Black Mountain and Dinosaur Jr. Jagjaguwar will release her third album, being produced by The National‘s Aaron Dessner, in early 2012. 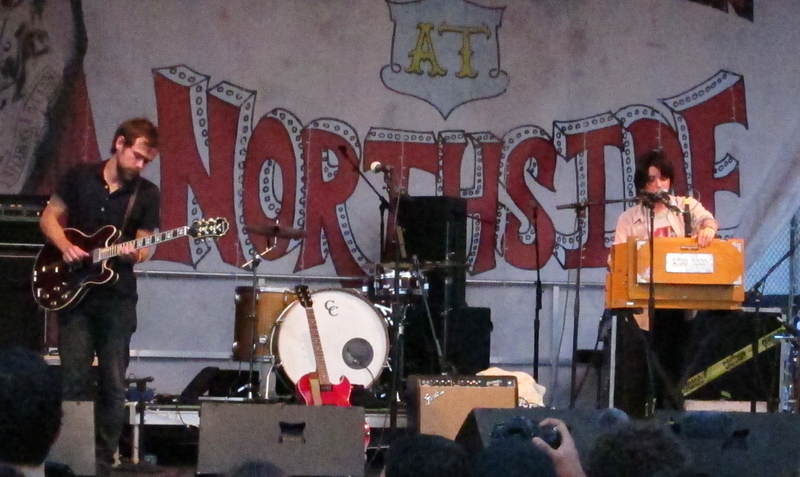 The National's Aaron Dessner performing with Sharon Van Etten at the Northside Festival in Brooklyn in June. Sharon is the second hot artist to part ways with Brookyn’s Ba Da Bing label in recent months. Ba Da Bing released Epic, an album that really boosted her profile, last year. Her connection with the label is even deeper, though. Will You Miss Me When I’m Gone? first met Sharon as a Ba Da Bing publicist, who was representing noise-rock duo WOOM. Longtime Ba Da Bing labelmate Beirut announced in June that its next album would be self-released rather than on Ba Da Bing. The band is continuing under Ba Da Bing’s management aegis, however. It’s unclear whether Sharon will do the same. It looks like Sharon, an amazingly talented and genuinely nice person, is living up to our early expectations. This year alone she’s already played Bonnaroo, Sasquatch, and MusicNow. And she has dates scheduled later this year at Bumbershoot, Musicfest NW and at the Hollywood Bowl with The National and Neko Case. We’re thrilled to see Sharon’s continuing success. 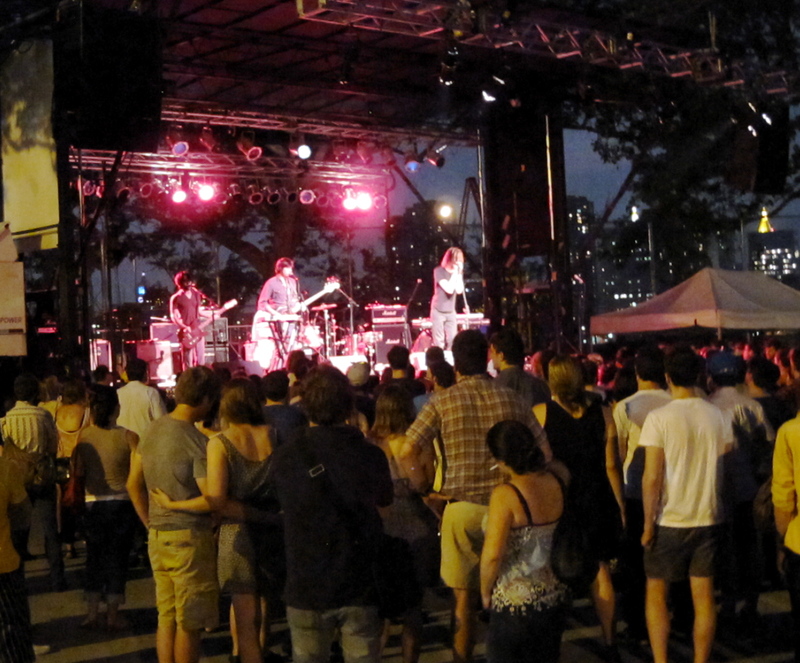 The Northside Festival in Williamsburg, Brooklyn, brought one of our favorites, Beirut, back home on Friday night, June 17. It was a great evening of music that came off beautifully. Early downpours that threatened the whole night cleared just in time for the first of the three bands to hit the stage and stayed away. Yellow Ostrich and Sharon Van Ettenplayed amazing sets. But most people in the audience were there for one thing only: Beirut. And they were not disappointed. 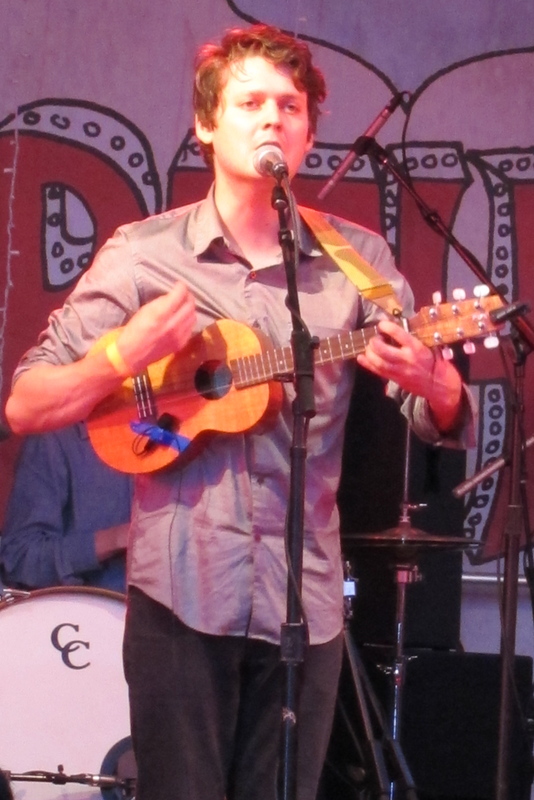 Here’s a taste of the touching, musically nuance performance, with a solo number at the encore by bandleader Zach Condon. 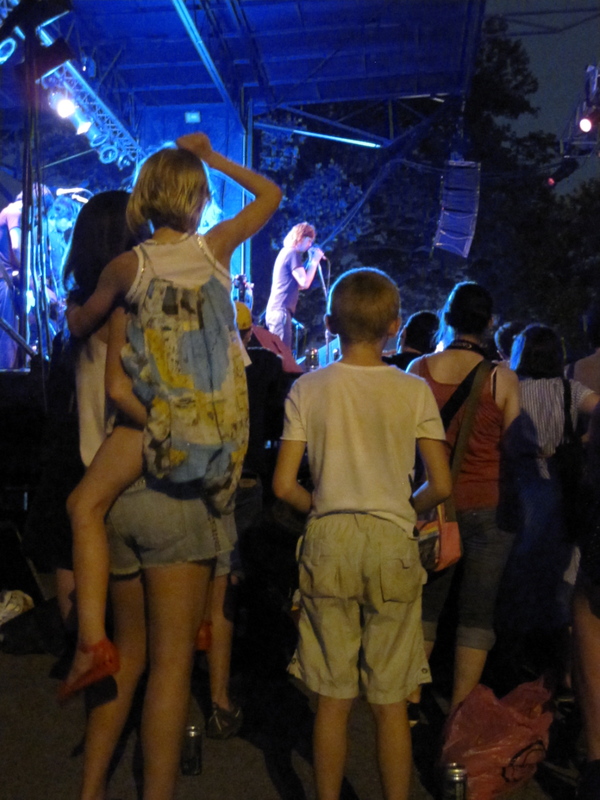 The Northside Festival in Greenpoint, Brooklyn, seemed an odd affair. The music was presented on a small, chain-link-fence-enclosed patch of blacktop on the waterfront at the apex of Commercial and Dupont streets. It was a very unlikely looking place for a music venue. Little Liars: Liars singer Angus Andrew's niece and nephew grooved vigorously to the noise rock. 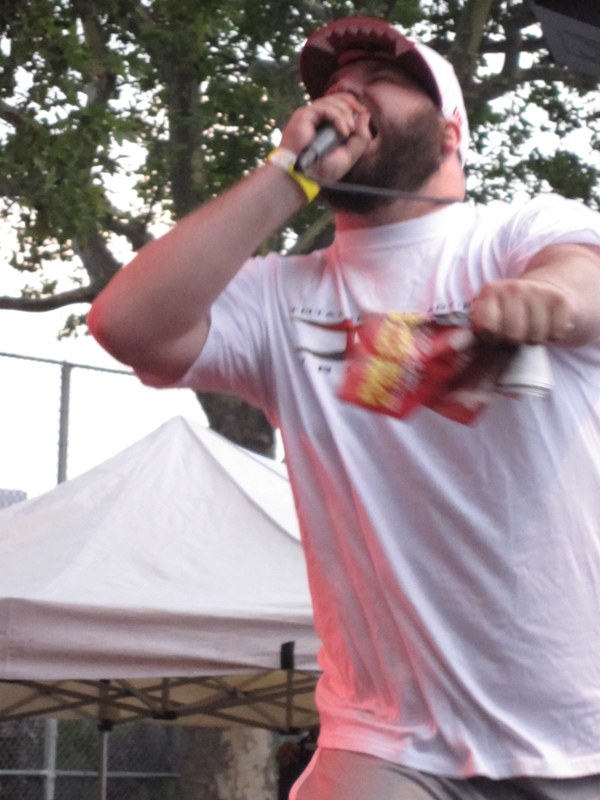 But looks are often deceiving, and this festival, sponsored by L Magazine, proved no exception to that notion. 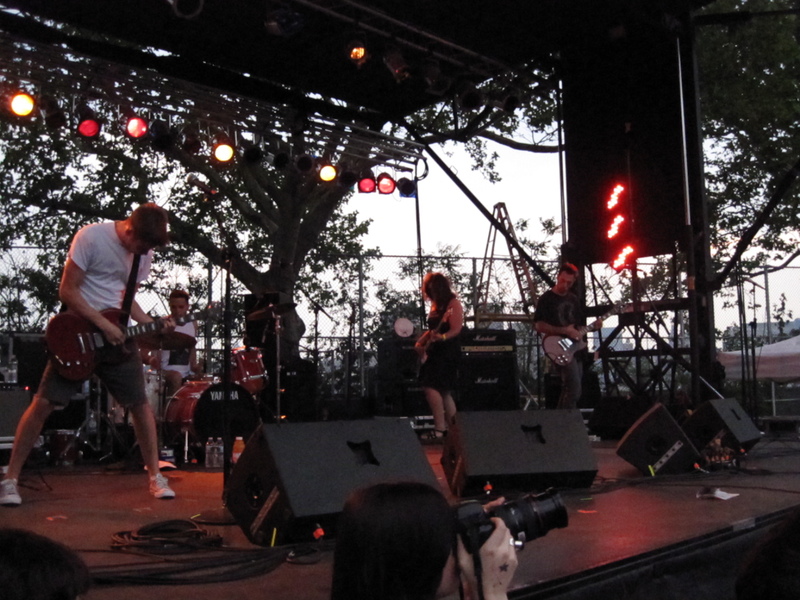 The Saturday night show, only the second rock show ever hosted at the Newtown Barge Terminal Playground, as the site is officially named, featured Liars as headliners with Fucked Up and High Places as openers. It was fantastic. The only shame was that so few people came out for it. 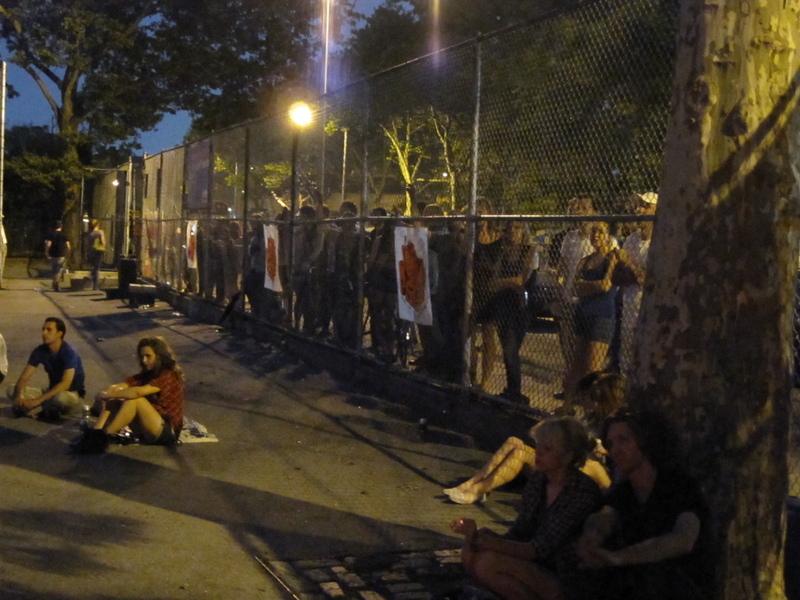 The venue appeared to be at half capacity at best, even if you counted the freeloaders who took in a virtually unobstructed view from just outside the venue’s fence. The music was great. Although I went to hear Fucked Up, a Toronto band that is one of the most energetic punk units active today, I was pretty impressed by the other acts as well. Liars kept the crowd entranced for a long set of noise rock with the vocal stylings of Angus Andrew. Freeloaders: It was easy to see and hear the whole show without paying a dime. But Fucked Up really blew the place up, with singer Damian Abraham’s crowd-hugging and can-smashing antics in addition to mind-blowingly fast and loud songs. Fucked Up arrives onstage with Damian chewing up and spitting out pages of he Northside Festival program booklet. 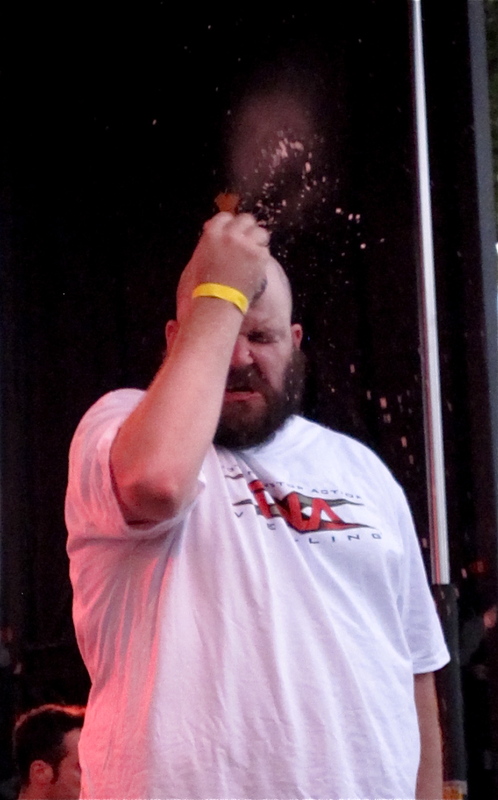 Damian crushes his first can of the night. 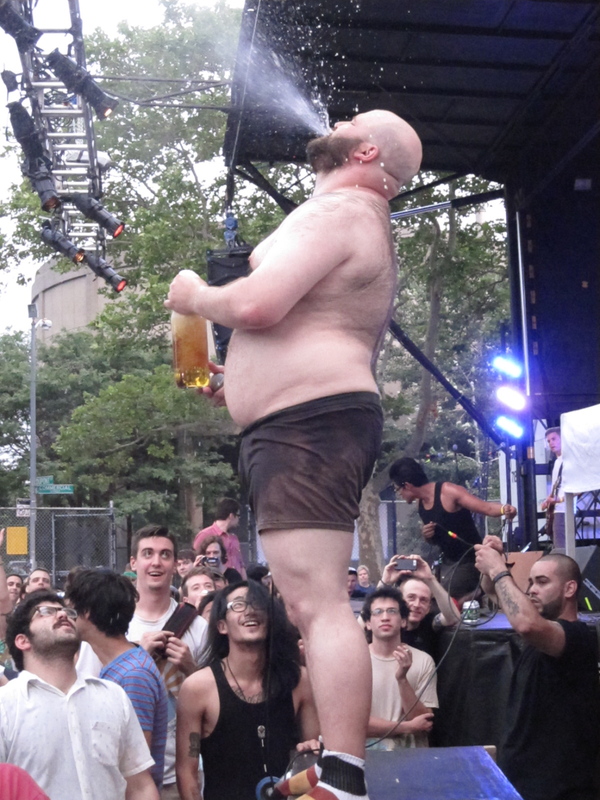 Click through to the jump for many more amazing photos of Fucked Up and the other opener, High Places. 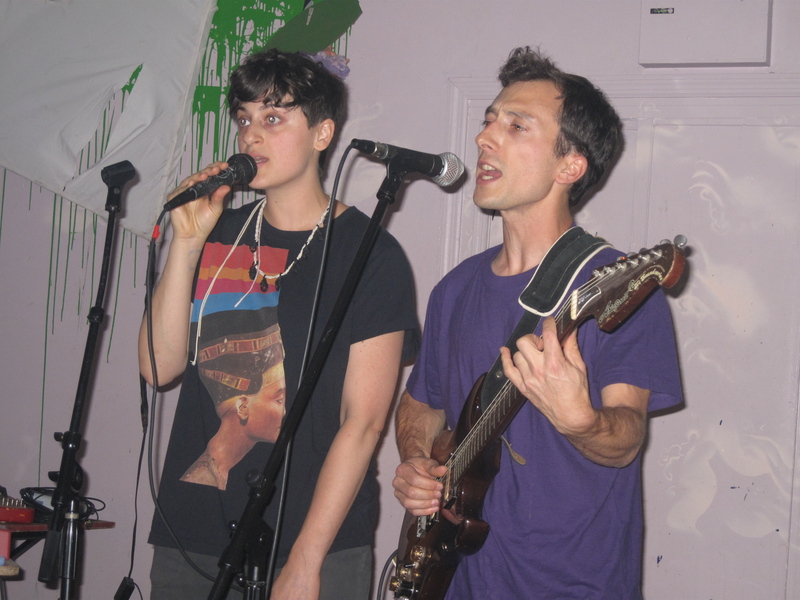 WOOM, a charming, Oakland, Calif., -based DIY duo, played two shows in New York City before heading to Europe to tour as an opener for Xiu Xiu well into June. Will You Miss Me When I’m Gone? 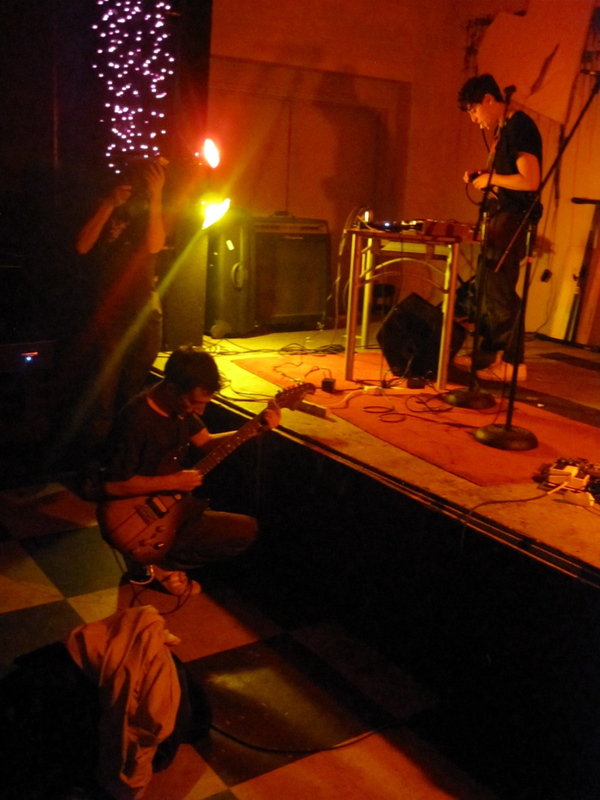 was fortunate to catch their set at Death By Audio in South Williamsburg, Brooklyn, last Wednesday (May 19, 2010), the night before they headed to Newark Liberty International Airport to head out on tour. The pair — Eben Portnoy on guitar and vocals and Sara Magenheimer on vocals and electronics — played a fuzzy, beat-driven set that was an absolute joy to hear. WOOM at Death By Audio. The pair played their hearts out, bouncing ideas back and forth between them casually but with obvious skill. The band is due back in New York City at the end of June for the Northside Festival, which runs from June 24-28 in Williamsburg and Greenpoint. Festival badges are $50 and available here. WOOM’s first full-length album is scheduled to drop on June 28 on Ba Da Bing Records. In the meantime, check out WOOM’s music on MySpace.